Australians have been involved in more conflicts as peacekeepers than as belligerents. 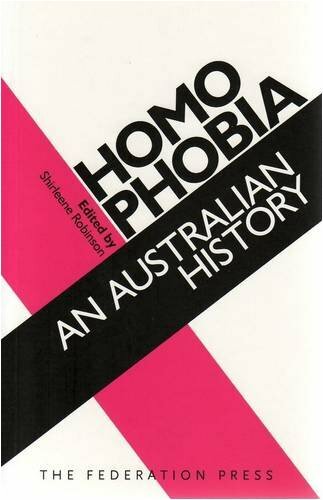 This is a part of our history which every Australian citizen, and every school child, should know. 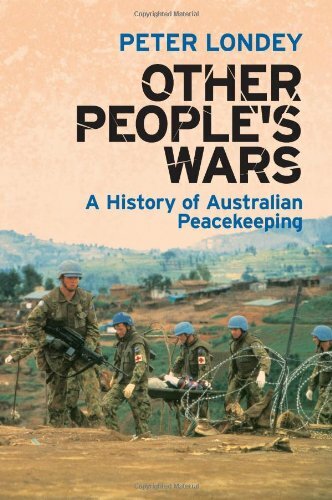 Other People's Wars is the first book to tell the whole story of Australia's peacekeeping activities, from the four military observers Australia sent to Java in 1947 to our current deployment in the Solomons. Drawing on years of research in archives, visits to operations in the field, and interviews with peacekeepers, Peter Londey has written an account of our peacekeeping history which is at once both encyclopaedic and readable. Every Australian peacekeeping operation is here, with incisive accounts of the causes of the conflict, the aims of the multinational intervention, the Australian contribution, and the story of what happened. The book treats United Nations and non-UN operations alike and as well as describing the role of the military, it gives full coverage to missions where Australia sent civilian police. For over sixty years, Australia has been a contributor to peacekeeping operations around the world. Dr.Peter Londey is a senior historian at the Australian War Memorial and his knowledge of peacekeeping operations is extensively portrayed as he presents a vivid account of Australia's contributions to peacekeeping. 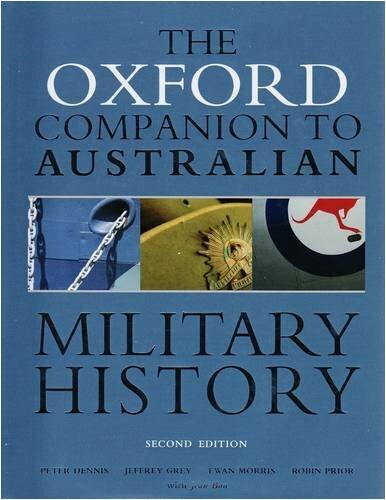 The book commences with an overview of Australia's peacekeeping involvement and its initial embryo; our involvement in the British Commonwealth Occupational Force (BCOF) in Japan at the end of the Second World War. Since then, Australia has committed to a great number of peacekeeping operations around the world. Some have been small contributions, such as the two-member contingents to UNMEE; to larger multi-dimensional peacekeeping operations such as East Timor. In succeeding chapters, the author examines various major and minor operations to present day. These various operational contributions have been the result of the commitment and sometimes reticience of various Australian governments and their policies; which have seen a resurgence in contributions in recent times, such as Iraq and Afghanistan. The author examines these issues and what inspired the rationale behind the various reductions and increases to various operations. 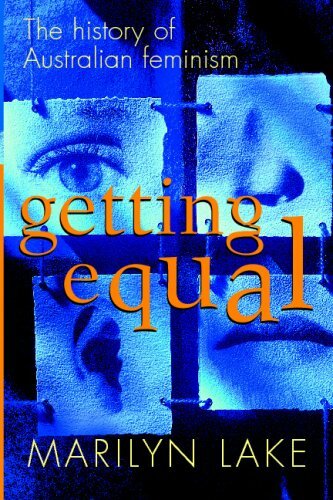 While in essence a history of a movement, covering over 200 years, this books brings the past to life, inciting the reader to search for deeper meaning, and seek out reasoning which may have previously been overlooked. Another excellent feature is the colleciton of photos - I only wishthere were more. This is an excellent book dealing with one of the world's most exceptional Special Forces. It would be great to see this book updated and revised to include recent operations in Somalia, Rwanda, and especially in East Timor in 1999 and Afghanistan in 2001 and 2002, especially with the possibility of involvement in a future Iraq war. 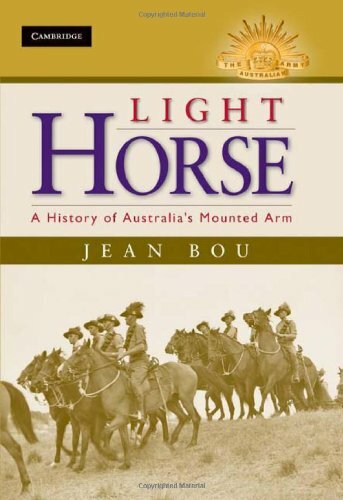 Apologies for quoting, but as Troy A. Lettieri's said about this book in his SAS Listmania topic:"This title is a complete history of this outstanding unit. It is truly a unit not to be reckoned with. I found the section covering their Vietnam involvement quite interesting." Agripping and fascinating view of the SASR! In the creation of any new society, there are winners and losers. So it was with Australia as it grew from a colonial outpost to an affluent society. Richard Broome tells the history of Australia from the standpoint of the original Australians: those who lost most in the early colonial struggle for power. Surveying two centuries of Aboriginal-European encounters, he shows how white settlers steadily supplanted the original inhabitants, from the shining coasts to inland deserts, by sheer force of numbers, disease, technology, and violence. 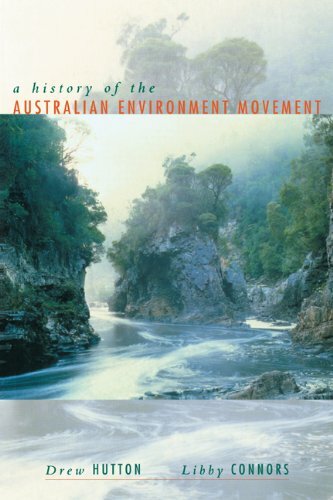 He also tells the story of Aboriginal survival through resistance and accommodation, and traces the continuing Aboriginal struggle to move from the margins of a settler society to a more central place in modern. Since its first edition in 1982, Broome's Aboriginal Australians has won acclaim as a classic account of race relations in Australia. This fully rewritten fourth edition continues the story, covering the uneven implementation of native title, the plight of remote Aboriginal communities, the "Intervention," and the landmark apology to the "stolen generations" by Federal Parliament. 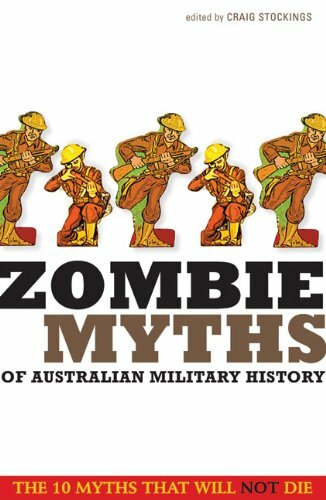 In this fascinating account, leading Australian military historians tackle 10 of the most enduring historical zombies, or national myths, that have staggered their way through the halls of military history for more than 200 years. From Aboriginal resistance and invasion to Australia’s recent involvement in East Timor, this record disproves the incorrectly memorialized and so-called gallant deeds of past Australian servicemen. Provocative and opinionated, this record attempts to correct the historical record. 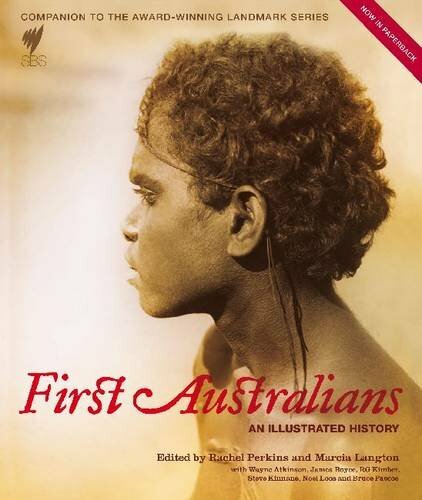 This book is a beautiful comprehensive story of the way of the Aboriginies. The illustrations are simply magic. Book delivery was delayed, however Amazon apologised and kept me informed along the way on how the delivery was progressing.The book is wonderful and full of information.Colourful and informative. 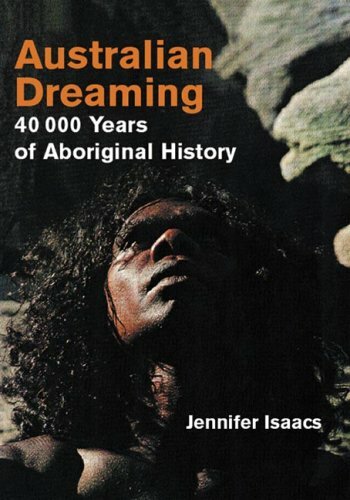 an excellent book that integrates the art, culture and ethos of the indigenous cultures of australia with the relevant dreamtime stories, illustrations and photographs. 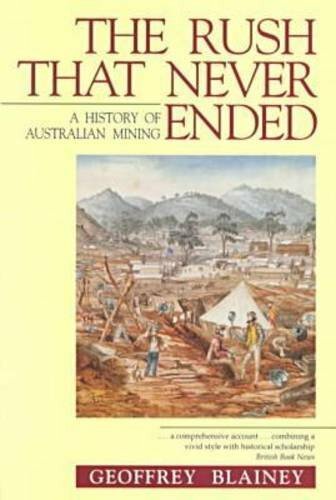 This book details the history of Australian Mining, but don't be put off by the seemingly dry subject-it is anything but dry. Stories are told of the romantic gold rushes, the lucky, the unlucky, the schemes, plots, the deceptions, the clouded histories, the despair of the many, and the fortune of the few. For students of both human nature and history it has interesting insights, such as how plain luck plays a significant part in human events, and how apparently small innocuous irrelevancies can lead to profound outcomes. An interesting example is that of the Mount Morgan Mine in Queensland. Black boulders, which cattle shied from, formed a low hill in the ranges. There was a gold rush a few miles away, but nobody thought to test the black hill, as the rocks were all wrong. Farmers sold the useless land the cattle didn't like. A lazy miner was sacked from his job, his wife pleaded for his re-employment, in return for the locale of a "silver mine" in the hills. A few savvy mine managers wandered into a black innocuous hill. They chipped away, took out leases over the whole hill (a wise move), kept it very quiet (another wise move). When samples were broken, there was more gold than black earth-it was assumed it wasn't gold but something else. They began to mine quietly away until a local newspaper noticed there was a phenomenal amount of gold leaving a nearby town. The word was out. Mount Morgan -the "freak lode" as described by geologists at the time-became one of the richest and mightiest gold mines on earth. It defied virtually everything known about gold mines at the time. Geologists were perplexed, but as long as shares repaid 413,000% of their value, the owners didn't care. The copper that got "in the way" of gold processing eventually amounted to about 250,000t of copper. It was mined for around 100 years, and money that came from the mine was used to find oil in the Middle East, which eventually formed the company BP. Mine owners declared in World War 1, that Mount Morgan money was used to fight the Germans. In the 1950s over half of Great Britain's revenue came from oil discoveries that were originally financed by one small black hill in the outback of Australia. The world's largest resource of lead and zinc-the Broken Hill Lode-is another case in point. For some years in the 1800s a large, jagged hill of black boulders more than a mile long and 500 feet wide was ignored by local prospectors at the nearby silver rushes at Silverton. A surveyor's fence was put across it. A trig station crowned the summit. Samples were chipped which came back high in uninteresting lead, but little else. It wasn't near any main thoroughfares. The owner of the land wasn't interested in prospectors. It was too big to be a lode. A good lode was said to be five feet wide, Broken Hill was over 500 feet wide. The rocks were wrong. So numerous hopefuls mined the molehills, whilst the mountain was ignored. When people finally got around to examining it, a few speculators bought and sold shares, making a few bucks, as the hill guarded its riches. Finally, when a shaft was sunk on the wrong rock type-white kaolin-bonanza silver assays came back and the hill was born. The first 48 tons produced about 36,000oz of silver, which in the 1880s, was a lot of dough. The ensuing stock market mania and mining development transformed Australian history. Over $AUS 70 billion has been taken from the hill to the 1990s. 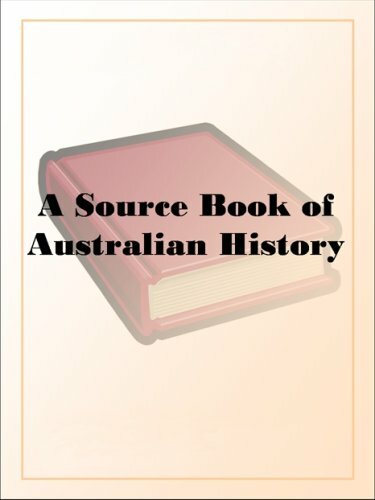 The official companion book to a major nine-part television series broadcast on SBS TV, this account reveals the violent clash of culture, religion, and ideas at the heart of Australia’s history. Beginning with Aboriginal travelers landing on Australian shores around 70,000 BC and finishing with the pivotal 1967 Referendum, this account chronicles the fierce war with colonists, the bloody massacres, and the earliest civil rights movement the world had ever seen. Drawing on a rich collection of historic documents and haunting images, this Australian history brings to life a cast of characters including Bennelong, who was kidnapped by the British and became the first Australian to set foot on British soil; Truganini, known as the last Tasmanian, who was broken by the betrayal of her people; and Lieutenant Dawes, a British officer who defied the authority of the Empire by falling in love with a young Indigenous woman. Alive with colonial detailcorruption, mutinies, and pyrrhic victoriesthis is the story that gave birth to a nation. 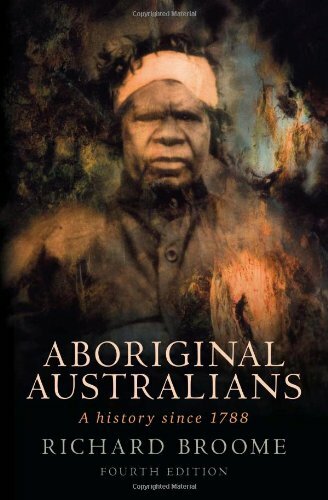 This book covers the strife the indigenous Australians went through since 1788 in different states and territories: in NSW, Tasmania, Victoria, Northern Territories, Western Australia and Queensland. While the book shows many disheartening stories of extreme racism, it also revealed many good people who raised their opposing voices against such atrocities. 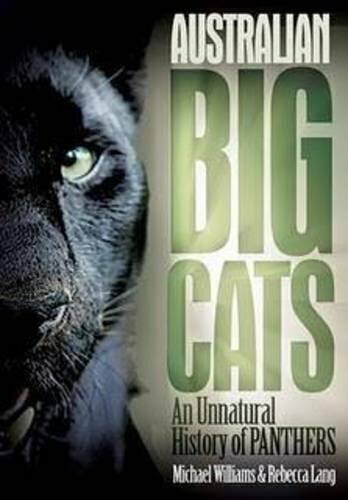 I would highly recommend this book to anyone that believes or doesn't believe in the Australian Big Cat, the authors have obviously done an amazing amount of research and investigating, the book is a great read and will get those non believers changing their minds! Since the late 19th century Australia tehre have been myths and sightings of large predatopry cat like creatures in the Australian bush.A wealth of interpretations has emerged in folklore as to their origins and identity ranging from Circus escapees, to US military mascots to deliberate imports from hunting societies and wealthy people with a passion for exotic pets.This book is so far the most detailed study of the evidence, the stories and the theories about the phenomenon of big cat sightings and predations.It is also a very entertaining and illuminationg read.Its a great effort. The Australian bustard is Australia’s heaviest flying bird. It is an icon of the Australian outback where it is more commonly known as the bush or plains turkey. It is also culturally and spiritually significant to Aboriginal people, who prize it as a favorite bush tucker. This book provides the first complete overview of the biology of the Australian bustard. Based on the first major study of the species, the author explores the bustard’s ecology and behavior, its drastic decline since European settlement, and the conservation issues affecting it and its environment. Color photographs of juvenile and adult birds complement the text as well as showcase particular behaviors, such as the spectacular display routines of males when mating, which are unique among Australian birds. 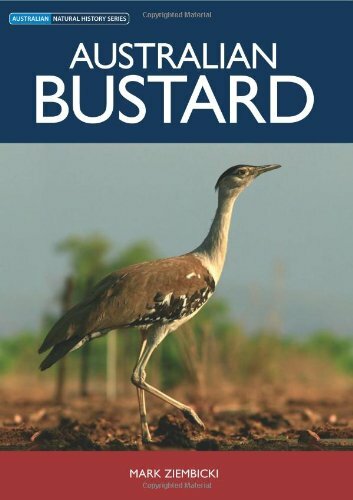 Australian Bustard is the perfect book for natural history enthusiasts. 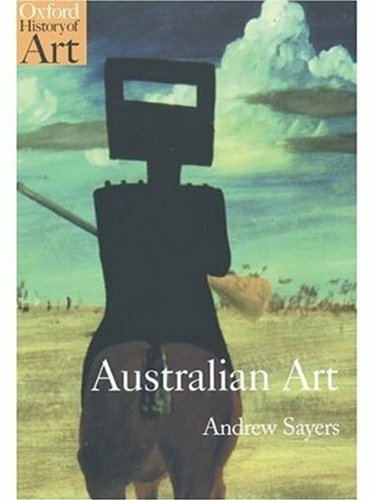 This comprehensive survey uniquely covers both Aboriginal art and that of European Australians, providing a revealing examination of the interaction between the two. Painting, bark art, photography, rock art, sculpture, and the decorative arts are all fully explored to present the rich texture of Australian art traditions.